The D.A.R.K. 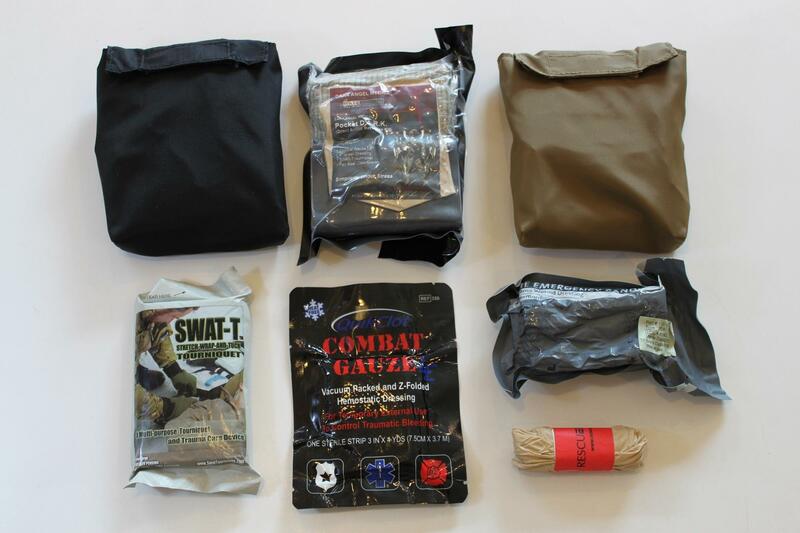 “Lite”contains the basics for treating “Bleeding and Breathing”. 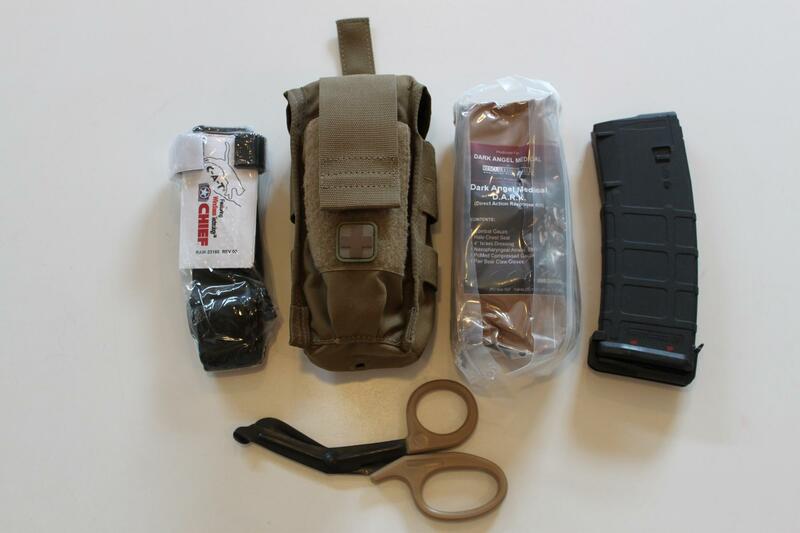 The complete kit includes the pouch and the insert. 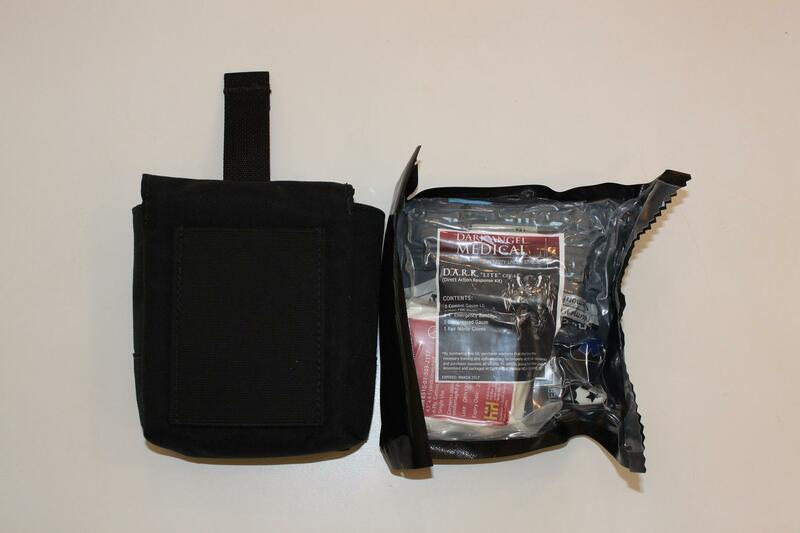 The low-profile 500D nylon pouch from FirstSpear has been designed to be belt-mounted with removable belt loops for up to 2″ belts or MOLLE-Mounted utilizing the attached straps. A TQ retention band on the front of the pouch will accommodate the CAT, SOFFT-W or SWAT-T (all available in our online store).